For Basil had failed to realize that the North, and in particular the Vanni, which the Tigers had ruled, needed human resources development on a massive scale. Though agriculture came back to normal soon, the people needed training in marketing , as one bright woman from a Rural Development Society said at the Reconciliation meetings I had started holding in the North and East. Little was done about the value addition that was essential if the peasants were not to be exploited by middlemen who paid them a pittance for their produce and kept the profits for themselves. In 2013, when I was pursuing this after several meetings at Divisional Secretariats where the rural communities had made known their wants and needs, the Minister of Agriculture told me that 2013 had been designated the Year of Value Addition, but they had done nothing about it. Basil saw the Task Force as simply a rubber stamp for whatever he wanted to do. He did have an excellent Civil Servant as its Secretary, but there was no conceptualization of the responsibilities the Task Force had undertaken. So Mr Divaratne’s abilities were wasted, and he was simply expected to rubber stamp what came his way, either from Basil or from the various agencies that worked in the North. He was also hamstrung in having a very strange office, with several deputies who thought their main business was to delay any programmes. I found several instances of gratuitous blocks, and needless suspicions, which were promptly allayed when Diva himself got involved. But it was wearying say for Diaspora Sri Lanka, which did excellent work in Mannar, or for Aide et Action which began much needed vocational training in Vavuniya, to hang around waiting for permissions until Mr Divaratne could be alerted. In an office with several generals, there were no officers able to take practical decisions. The few youngsters who were there were dedicated and efficient, but they did not have the language skills or the decision making powers to really analyse what was going on and work out where more should be done. So, while much was accomplished of real worth, Mr Divaratne was hampered by constraints in a manner he had not been used to, in his earlier incarnation as Commissioner General of Essential Services, when he managed to keep supplies going to the conflict area despite manifold difficulties. I realized this when he asked me a year or so after I had given up my own responsibilities in the field, having resigned as Secretary to the Ministry that had previously coordinated aid programmes so that I could be a candidate for Parliament, to look at some of the reports of aid agencies. We had in any case been sidelined when the PTF was set up, and the Ministry was much reduced in scope after the election in which I had entered Parliament, losing its brief for Human Rights and thereby for the coordination of humanitarian aid. But since the PTF office was so small and dysfunctional, it turned out that there was no monitoring of aid programmes, and no efforts to streamline delivery, which Diva and I had tried to do together in the first few months of that year, before I resigned. So, for example, shockingly, despite the evident need for construction, there was no effort to set up training centres which would produce not just carpenters and bricklayers, but also electricians and plumbers, for the buildings that were coming up. So it was not surprising that one grouse, when various housing projects started, was that they used labour from outside. Basil’s answer to this, typically, had been to build a large centre in Mullaitivu, where the buildings had fewer than 100 youngsters in training four years after the war. As usual, he had thought pouring in cement would suffice, when planning based on local consultation was what was needed. My Ministry had coordinated the work of the UN Office for the Coordination of Humanitarian Assistance, and we had got at least their acceptance of the principle that they should report to government, though initially they had been a law unto themselves. Even though they were ready to report however, after the Ministry lost its mandate, they had no one to report to. At one stage, after my initial glance at reports for Diva, I was tasked to check on aid programmes as part of my Reconciliation mandate, and I found reams of information that no one collated. OCHA told me when I complained to them that they were waiting for instructions, but they had received none that made sense. In fact they proved most cooperative when I suggested structures for reporting and, after our initial meetings, they produced schedules by Division which were illuminating. But the PTF was not in a position to use these as a management tool, to direct attention to particular requirements. The NGO Secretariat, which should also have been monitoring work, was hopeless, and its head, after initial enthusiasm about my work, ignored me when he thought my influence with the authorities had declined. So there was no system to check on the work that was being done, and target areas of need, so it was the gaps that were remembered, not the achievements. Given what had been achieved, the transformation within a few years of the Wanni, which the Tigers had kept totally undeveloped when they controlled it, and which had been devastated during the war, it was understandable that Basil was upset that what he had done was not recognized. In fact it had been appreciated to some extent at the previous elections held in the North, for local bodies, for government had done comparatively well in those areas. 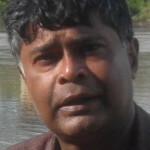 In two of the three Pradeshiya Sabhas for which elections were held in the Wanni a couple of years after the war, government had come close to winning. 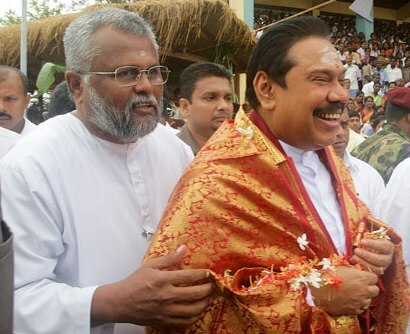 But this result was overshadowed by the fact that, in much of the Jaffna peninsula, they had lost to the TNA – though it should be noted that Douglas Devananda’s party had won in the Islands, which were his stronghold. 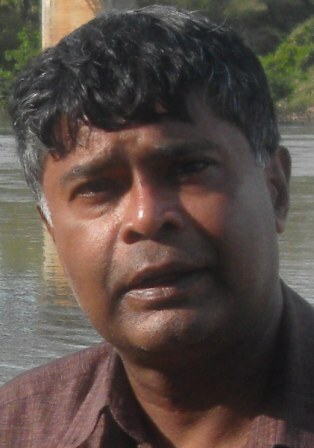 What happened in Jaffna in that election was symptomatic of the failure of government to understand the aspirations of the Tamils, and in particular the more sophisticated electorate of Jaffna itself. What they needed was dignity and, had government immediately after the war taken them into confidence and made them partners in the development process, it would have done better electorally. But unfortunately the approach adopted was top down, and this simply did not work.